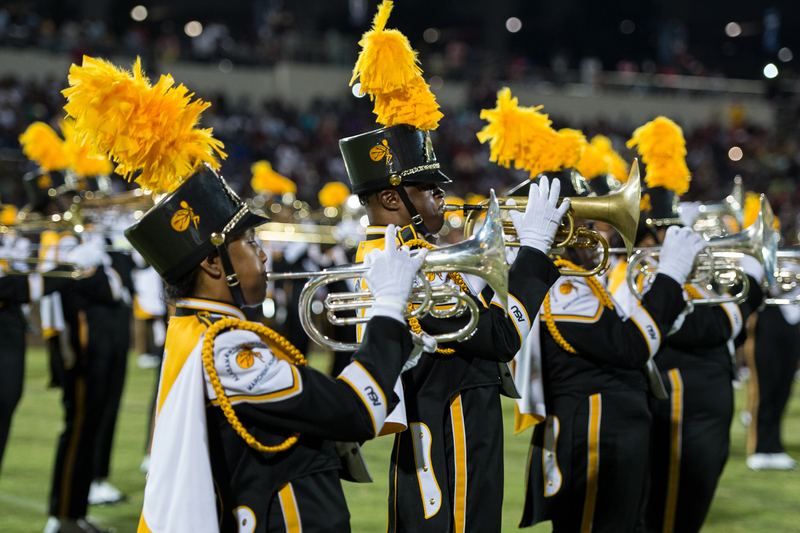 For the fourth year in a row, some of the best Historically Black Colleges and Universities marching bands and their fans converge on Charlotte to kick off the fall marching band season. 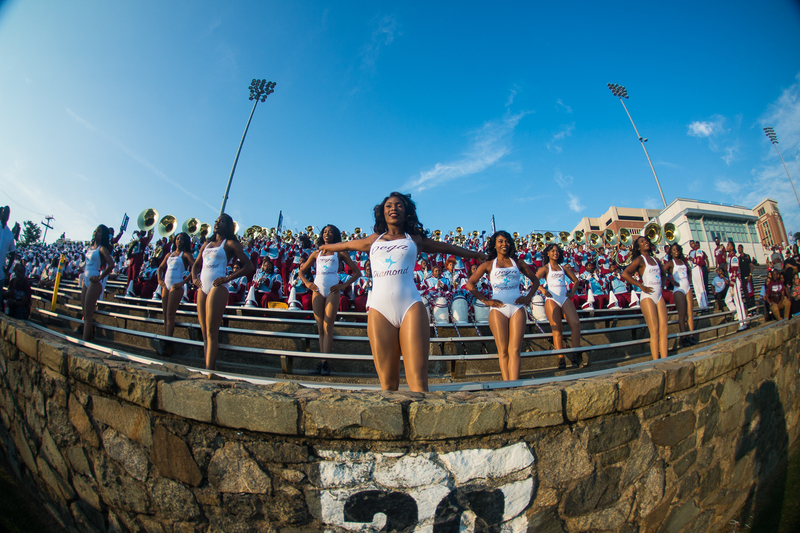 Talladega College began their battle in the stands. 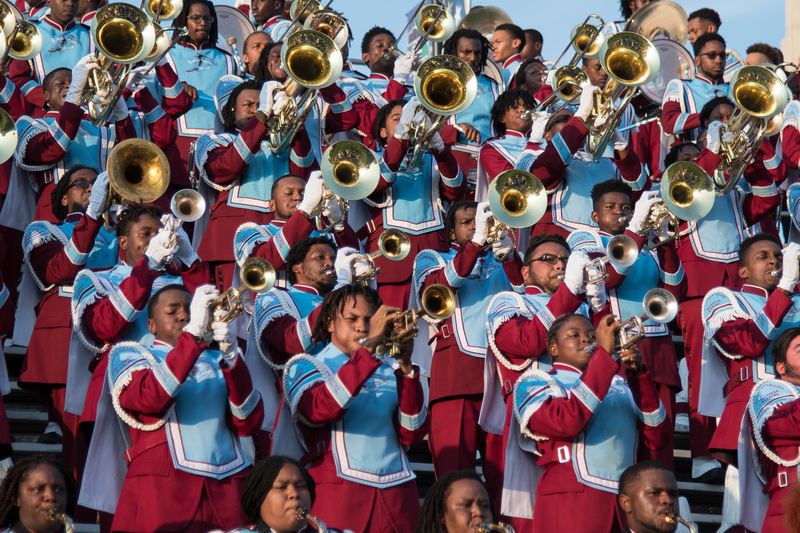 For the fourth year in a row, some of the best historically black colleges and universities’ marching bands and their fans converge on Charlotte to kick off the fall marching band season. 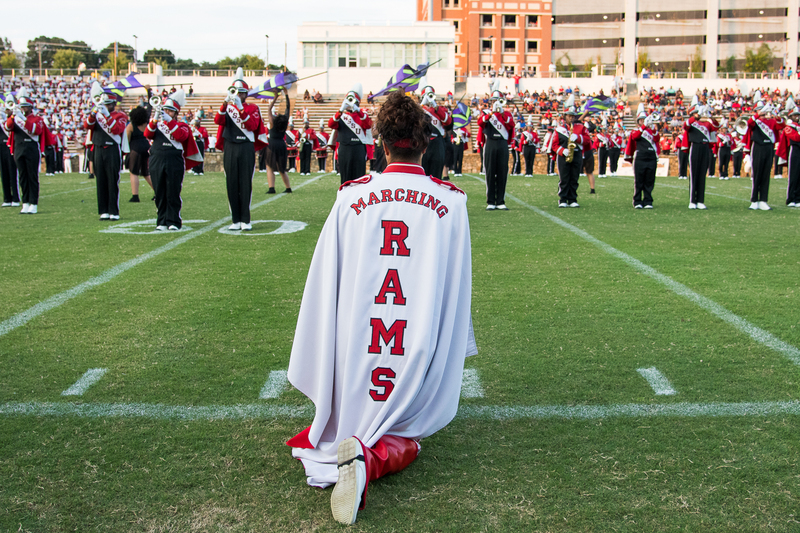 The Winston-Salem State University Marching Rams kicked off the evening as the first band to take the field. 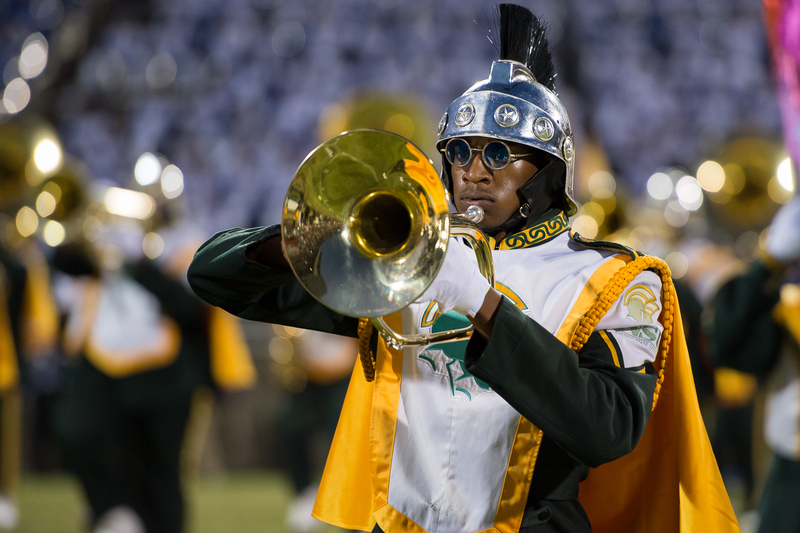 Norfolk State University was one of three schools representing the Mid-Eastern Athletic Conference. 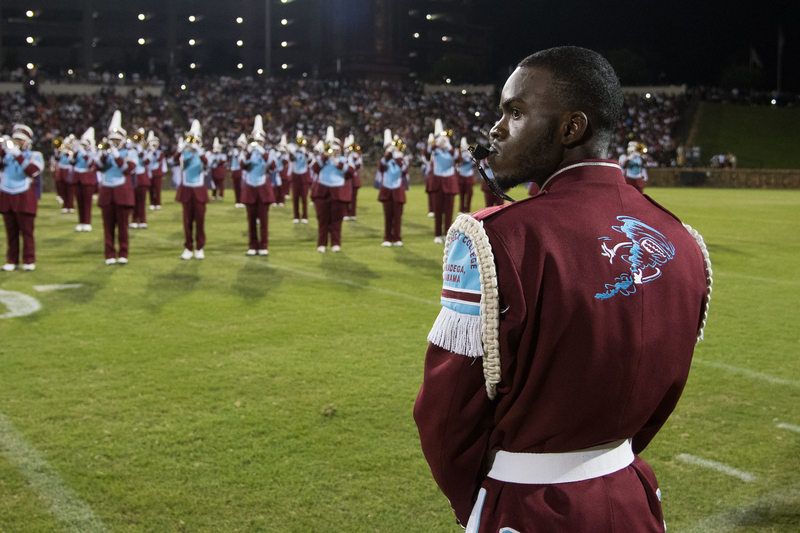 Talladega College’s drum major keeps a watchful eye during their performance. 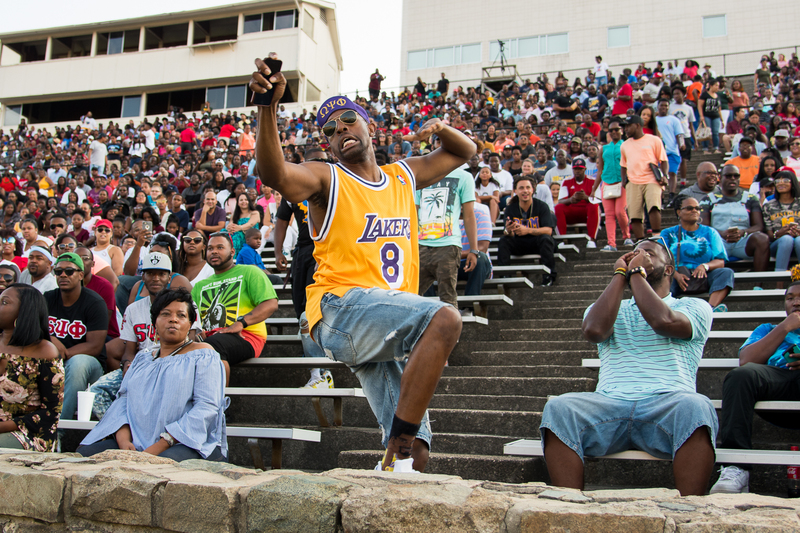 When “Atomic Dog” is playing, members of Omega Psi Phi will be hopping like Jordan, king of the North Carolina A&T University Mu Psi chapter. 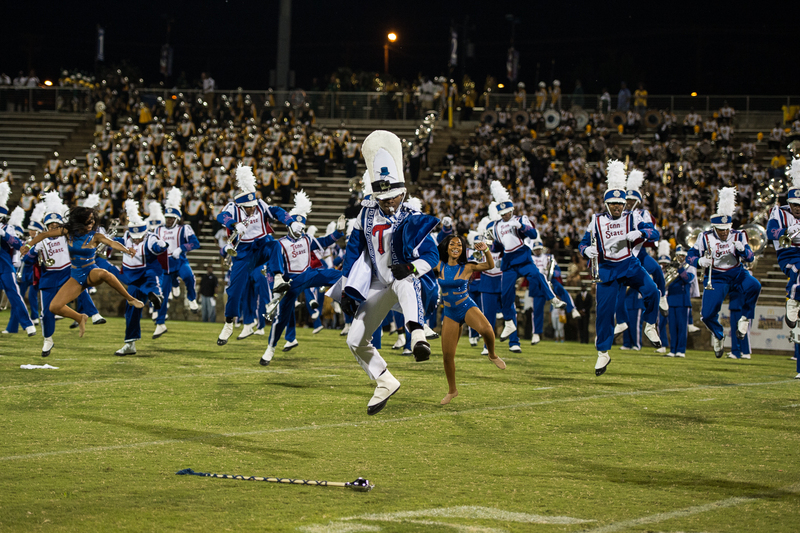 Tennessee State University band members dance in unison during their performance in Charlotte, North Carolina. 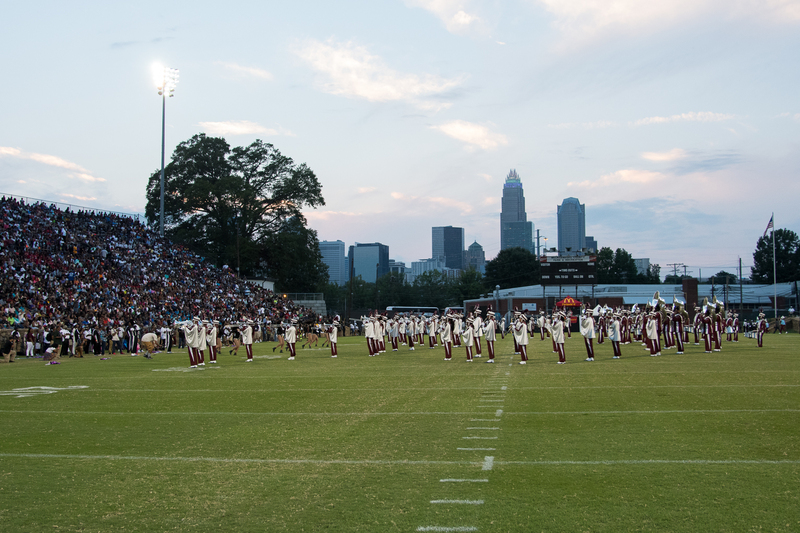 North Carolina Central University performed to a packed stadium with the Charlotte, North Carolina, skyline in the background. Kerrie Odom leads the Dega Diamonds during their performance in the stands. 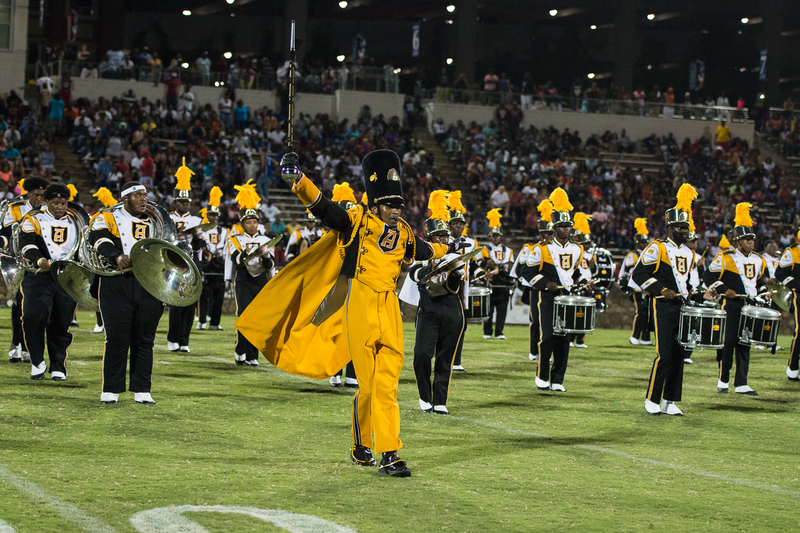 The Mighty Marching Hornets of Alabama State University was one of nine bands performing for the sold-out crowd. 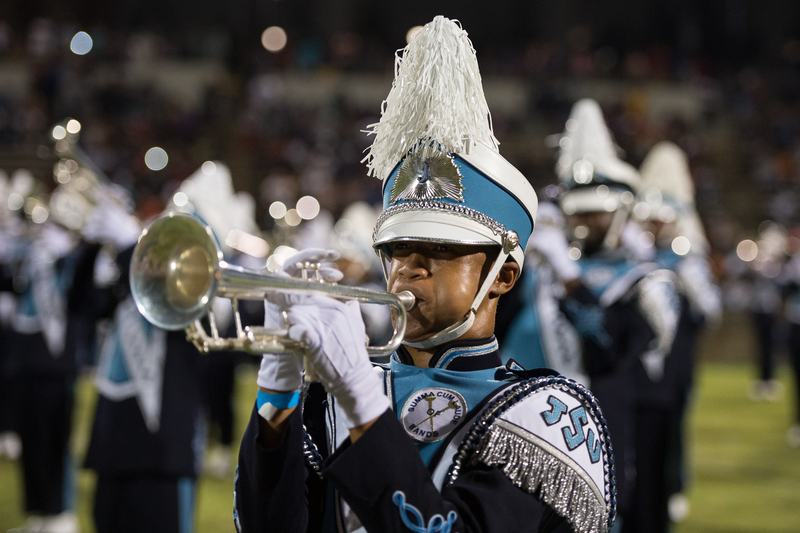 Jackson State University traveled a great distance to show why they are called the “Sonic Boom” of marching bands. 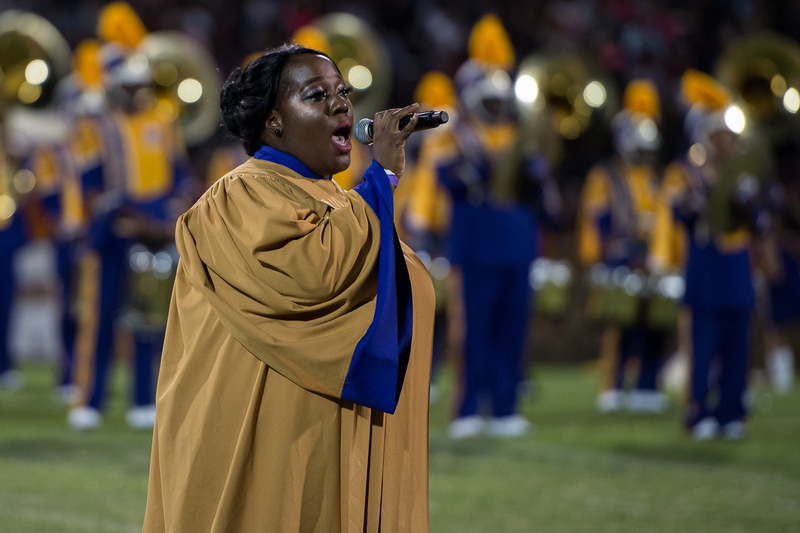 Jelisa Ransom brought the packed stadium to their feet when Miles College closed its performance with a gospel song.